British Telecom is to spend £260m on a new high-speed communications network in Northern Ireland. BT is spending £10bn in total on the project called ' 21st Century Network ' in the UK and Europe, and once roll-out is completed, it will triple broadband speeds across the nation. The new network will carry the bulk of BT's telephone, broadband and ISDN services across Britain whilst offering higher bandwidth across the network. Top of BT's 'to do' list is to deploy ADSL2 on all telephone exchanges. These are predicted to offer download speeds of up to 24Mbps to secondary broadband providers who buy bandwidth from BT Wholesale . 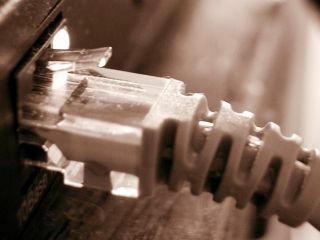 It is thought that broadband providers using the new 'wholesale broadband connect' exchanges will be able to either provide cheaper broadband subscriptions, or to relax the bandwidth capping that some have had to introduce due to excessive downloading. The looser restrictions would enable broadband users to embrace new rich internet content such as online video downloading. It is thought that trials of the ADSL2 networks will begin in areas of Britiain throughout this year, with services becoming widely available in 2008. BT managing director Alastair Hamilton told BBC Online that the new broadband network will also benefit businesses and help to attract more investors who need high speed communications.